New slots are being released on an almost daily basis by a huge number of quality casino developers. The games have an imaginative range of themes and come packed with some exciting features. Recent days have been no exception and three exciting new games were released last week. The slots transport you everywhere from the Old West to deep space and on a Viking adventure, while giving you numerous opportunities to take home some huge winnings. You may not be aware of it, but animals carrying out various civic duties once populated towns in the Old West. 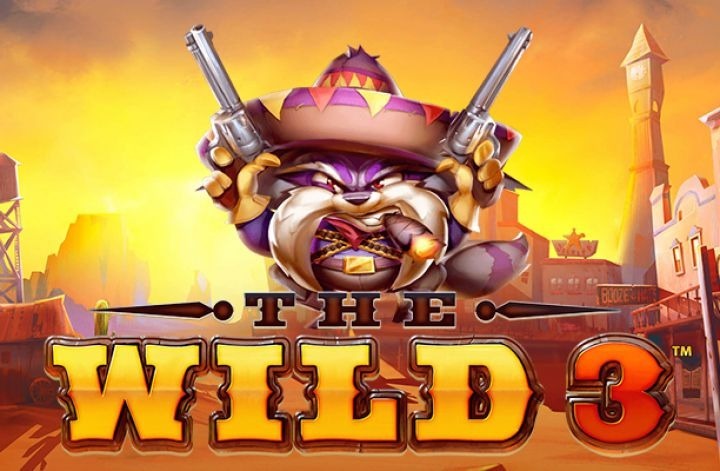 While this may sound a little farfetched, it is the theme of a new slot, The Wild 3, which has just been released by NextGen Gaming. The Wild 3 is a 5 reel slot with 3 rows and 10 fixed paylines. Behind the reels you can see a western town complete with sandy streets and a gun shop under a hot blue sky. All of the game’s symbols are related to the theme and include a vulture, a bank, a safe, a stack of gold bars, a bag of cash, sticks of dynamite, and three different cacti. 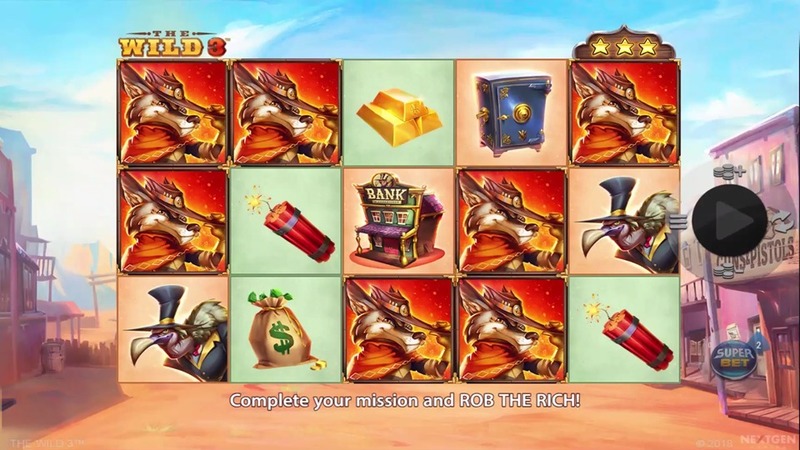 The slot has three wild symbols, a racoon, a coyote and a bull. Each of them will substitute for all of the other symbols, except for each other and the scatter symbols, to help and form winning combinations. The scatter symbol is a wanted poster. The slot offers players a Superbet Option. This gives you the option of betting a little more per spin in exchange for extra features. There are three levels, at the default level the El Loco gunman is wild, and the first level, which costs an extra 50%, the cacti symbols become wild, and at the second level, which costs double, all wild wins are multiplied by up to 10x. The wild animal symbols also have Superbet features linked to them. At the first level the wild racoon only lands on the third reel and will add extra wilds to the reels when it does land. At Superbet levels two and three the wild coyote symbol can only appear on the third reel and will turn all cacti wild when it does. Also at Superbet level two the wild bull can land on reel three and will multiply any wild wins by up to 10x. Each betting level at which you play is associated with three missions, such as triggering the free spins, or spinning 20 winning spins. When you complete the three missions for your stake level a special Rob the Rich picking game begins in which you can win cash prizes and extra picks. If you land the bonus symbols on reels two and four and a wild symbol on reel three all at the same time then the free spins begin. You are given five free spins with the wild frozen in place for the duration of them. Any more wilds that land will also freeze in place and an extra spin is awarded for each extra frozen wild or bonus symbol that lands. If the bonus symbols land on reels two and four simultaneously then the Lock ‘N’ load Respins begin. You are awarded up to three respisn with the bonus symbols held in place to try to land the wild symbol and trigger the free spins. The Wild 3 has a betting range of £0.10 up to £100 per spin so everyone will be able to try this new slot. The vulture offers the top payout of 250x, the bank can payout up to 150x, the safe can payout up to 100x, the bars of gold, bags of cash and dynamite can all payout up to 75x, and the three different cacti can all payout up to 50x. This is a feature packed slot that can provide you with hours of fun as well as significant winnings, be sure to give it a try as soon as you can. 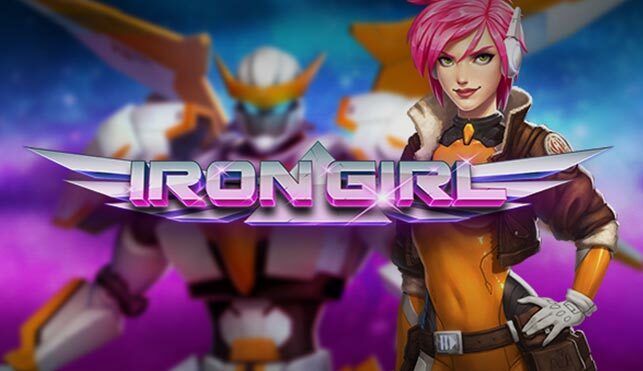 If you enjoy superhero themed games and think it is about time that more female superheroes graced the reels then you are sure to love the new Iron Girl slots from Play N Go. This feature packed game will see you battle the evil aliens in exchange for some huge prizes. Iron Girl is a 5 reel slot with 3 rows and 20 fixed paylines. The reels are set on a spaceship’s control screen and behind it you can see a view of deep space. There are four high value symbols, different aliens coloured blue, purple, green and yellow. The lower value symbols are futuristic designs of the playing card suits Spades, Hearts, Diamonds and Clubs. The wild symbol is Iron Girl herself and she can substitute for all of the other symbols to help and form winning combinations. The gameplay is built upon the Villain Respins feature, which begins whenever a winning combination featuring at least three matching villain symbols lands on the reels. The villains and any other matching symbols in view will then be held in place for a free respin. If you land more matching villains (or wild symbols) then the process will repeat itself. If you land at least eight villains then two wild symbols are added to the reels, land at least ten for a 2x multiplier, land twelve for a 3x multiplier and land fourteen for a 5x multiplier. Furthermore, at any point while playing the Iron Armour feature can begin. The armour will fly onto the reels and add up to five random wild symbols. This of course can help to trigger the Villain Respins. Iron Girl has a betting range of £0.20 up to £100 so it is a very affordable slot. There is a top payout of 200x for landing five blue aliens, the purple alien can payout up to 150x, the green alien can payout up to 120x, and the yellow alien can payout up to 100x. All four of the playing card symbols can payout up to 50x. Thanks to the bonus features built into its gameplay, this slot can provide hours of fun, so try it today. The Vikings were well known for pillaging treasures and now you can enjoy a share of these treasures by playing the brand new Erik the Red slot from Relax Gaming. It is a fun game, full of features that will help you to take home some huge winnings. Erik the Red is a 5 reel slot with 4 rows and 20 fixed paylines. The reels are set on the sail of Erik’s longboat while behind them you can see some more longboats on calm waters. All of the slot’s symbols are linked to the theme. The highest value symbols are the characters Erik and Helga, and there is also a Viking helmet, an axe, a horn, and three different shields coloured red, green and blue. The wild symbol is a flaming sword and it can substitute for all of the other symbols, except for the scatter symbol, to help and form winning combinations. The scatter symbol is a knotted silver design. On each spin one of the slot’s symbols is picked at random to appear in stacks on the reels. This obviously helps to form more winning combinations and if it is one of the higher value symbols then it can lead to some huge payouts. The main bonus feature is a free spins round that begins when at least three scatter symbols land anywhere on the reels. At first you are awarded eight free spins and during them you will see the word ‘Wild’ appear above each reel. To begin with, the reels on which the triggering scatters landed will have two letters filled in and then each time a scatter lands on a reel, one letter from ‘Wild’ is filled. If you fill up the entire word then the reel will turn completely wild for the rest of the spins and you will be awarded one more free spin. 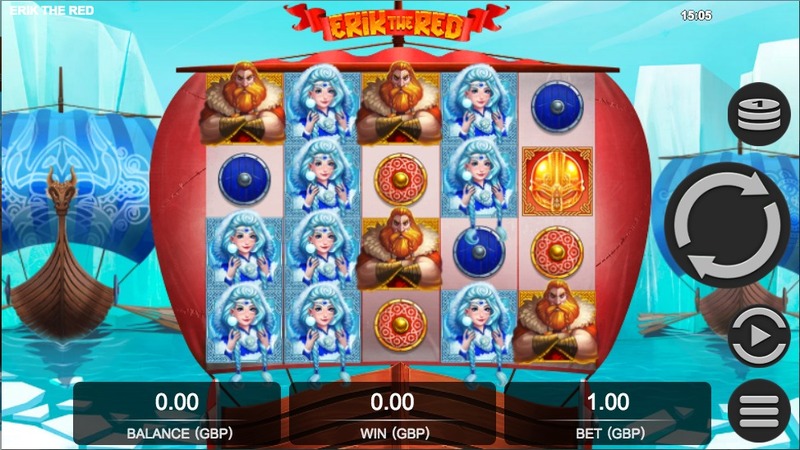 Erik the Red has a betting range of £0.10 up to £100 per spin so all players are able to enjoy it. The wild symbol offers the top payout of 100x, Erik, can payout up to 80x, Helga can payout up to 50x, the helmet can payout up to 30x, the axe can payout up to 24x, the horn can payout up to 20x, the red shield can payout up to 16x, the green shield can payout up to 12x, and the blue shield can payout up to 10x. Set sail with Erik and his crew today and with a bit of luck you will return home after your adventures with some huge winnings.